Ziyanda Mtshali thought that her future lay in advertising but after arriving at a large traditional university, having been accepted to follow her dream, she found that a big university with thousands of students was not working out the way she had thought it would. She took the brave step to walk away and after consulting with Boston City Campus & Business College she landed up at Boston Media House. A student advisory session helped Ziyanda clear her head, so she decided to enrol for the Media Practices Diploma, discovering that it was actually the world of public relations she was destined to be a part of. ‘The great thing about the Media Practices Diploma at Boston is that in your first year you get a taste of everything: from journalism and print media to radio, film and television, public relations and advertising. This exposure to all aspects helped me realise what I didn’t want to do”,’ says Ziyanda, who ended up choosing video production and strategic PR as her majors. “The style of teaching at Boston Media House, which combines theory and practical, prepares students particularly well for the working environment,” says Ziyanda. ‘At Boston you really do get a head start. The lecturers prepare you so well; all the equipment you need to learn on and practice with is on site, and they encourage and assist students to apply for internships, which provide invaluable work experience. 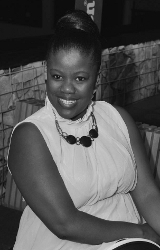 “My first taste of PR was being appointed a smiley!” says Ziyanda. This opportunity was offered to her by the campus during the course of her studies. She explains that ‘smileys’ are students who welcome new students and their families to Boston, tell them about, and guide them around the college during the busy registration period. “Being a smiley meant I had to sell the college to these individuals. I thought this would be an easy task as I am passionate about Boston, but it taught me invaluable lessons about how to handle people, especially if they became difficult in any way” says Ziyanda. Valuable work experience and important lessons were also learned when she spent some time working as an intern at Marcus Brewster Publicity. Success comes from being well prepared for your job and going the extra mile when required. In the case of PR this includes how to work with your clients, how to interact with the media and how to cope with different people and their demands. I use a lot of what I learnt at Boston as a ‘Smiley’ and at Marcus Brewster as an intern in my job today as an Account Manager for Magna Carta Public Relations. This bright star has found her niche-as she admits that she loves working and interacting with the media, pitching a story and getting coverage for her clients. But it can be equally frustrating when stories you think are newsworthy do not crack the nod from the press. “Patience and persistence is definitely an attribute one needs to get ahead in public relations. And a thick skin!” says Ziyanda. She adds that public relations can be stressful as it is not a 9 to 5 job and clients can often be demanding. At the same time it is incredibly rewarding when a function goes well or you get a front page for a client. “If I had to give young students advice, it would be to pay attention to the small things in class, and know what is happening around you in the news and the world as this is what you need to be aware of when you starting working in the industry,” says Ziyanda. In terms of the future, Ziyanda, feels that the PR industry is on the up and up saying that organisations are really starting to recognise the value of PR and the difference between PR and advertising, and that all media has its space and needs to work together. On a personal level she is excitedly looking forward to the future and is keen to learn as much as possible from those she works within the industry however at this stage she does not want to move too far away from the coal face because this is where all the action happens and where she loves to be – working hands-on with the media and her clients to ensure the best outcome for both. For more information on selecting your nearest Boston Media House, please visit www.boston.co.za or call 011 883-0933, midyear registrations are now open at the Sandton branch.